Britain's Brexit Day is now overdue. Having hurdled its original 29 March 2019 deadline, Britain is currently set to leave the European Union ("EU") on 12 April 2019 unless it agrees an alternative way forward. At the time of publication, despite multiple votes on alternative options, still no deal has been approved by the UK Parliament. European Council president Donald Tusk has said that until 12 April 2019, "all options will remain open and the cliff-edge date will be delayed. The UK government will still have a choice between a deal, no deal, a long extension or revoking Article 50". DEAL OR NO DEAL: Lenders are grappling with a range of issues that may flow from Brexit including governing law, jurisdiction and enforcement, the interpretation of existing and new arrangements, Article 55 of the EU Bank Recovery and Resolution Directive and withholding tax. WHAT ABOUT MY PASSPORT? The potential loss of passporting rights is however the most serious issue facing lenders. The UK and Ireland do not regulate corporate loans, but in some EU states including France, Germany and Italy, it can be a criminal offence to lend without a licence. The EU has a "passporting" regime whereby a financial institution authorised in its home European Economic Area ("EEA") state can carry on certain activities covered by EU legislation in another EEA member state on the basis of its home state authorisation or licence. Losing access to this regime is not just a problem for UK and Irish banks. Many US banks use their UK branch or affiliates to provide services in Europe and rely on a UK authorised passport under the Capital Requirements Directive (the "CRD") to lend into the rest of Europe. The EEA comprises the EU member states as well as Iceland, Norway and Liechtenstein, and passporting rights apply to EEA member states that are not members of the EU so long as the relevant EU legislation has been incorporated into the EEA agreement. Financial institutions that rely on the UK regime could therefore find themselves unable to fund or participate in some loans and take security if the UK is no longer recognised as a participant to the passporting regime by the relevant EEA state. The position vis-à-vis banking licence requirements remains unclear due to uncertainty as to whether the formal withdrawal agreement entered into between the UK and the EU will be accepted by the UK Parliament (the "Withdrawal Agreement") or if the UK will leave the EU with no deal ("No Deal"). Withdrawal Agreement: This provides for a transition/standstill period. During this period, most EU laws will continue to apply to the UK during the post-Brexit transition period (30 March 2019 - 31 December 2020) and most references to the EU will continue to include the UK. Passporting and other rights and obligations under EU law will continue to apply to UK firms. CRD does not provide a harmonised third country regime (a "third country" being any country that is not part of the EEA) allowing non-EU banks to provide these services on a cross-border basis in the EU. Regulation of cross-border services by non-EU banks will be determined by the law of the remaining EU member state ("EU27") in question. Therefore, UK authorised banks wanting to provide services to the EU27 may face different requirements in different states. If the UK joins the EEA, the UK financial institutions should retain their passporting rights so long as the relevant EU legislation has been incorporated into the EEA agreement. Questions arise regarding what happens to loans entered into by UK authorised firms pre-Brexit. A loan could be legally vulnerable and/or subject to repayment or restructuring if lenders are not permitted to lend (illegality). The LMA proposes grandfathering of rights (i.e. any loans originated or acquired by passported firms at a time when those firms were validly authorised should not be affected by loss of passport rights). The FCA has introduced the temporary permissions regime to allow EEA-based firms currently passporting into the UK to continue to operate regulated business activities within the scope of their current permissions in the UK for a limited period whilst they seek full FCA authorisation. However, this will not necessarily be reciprocated across the EU. This could result in banks requiring a UK regulated entity to carry on business in the UK and another entity regulated in a EU27 state to carry on business in the EU. allocating positions to another party (be it a branch of the same entity located in a jurisdiction with a valid passport or to another entity within their corporate structure). Non-bank entities operating in the secondary market have traditionally been acutely aware of the need to possess banking licences in certain jurisdictions where authorisation is required for certain lending activities, notably in France, Germany and Italy. Such entities will often seek to settle secondary trades by way of funded participation with a duly authorised UK bank, with the participation agreement putting in place a back-to-back funding arrangement between the bank and non-bank. Payments under the participation arrangement are made by reference to the underlying loan to which the bank remains party as lender. As mentioned above, banks may lose the ability to passport into the EU on the basis of their UK banking licence in the case of a No Deal Brexit so below we consider the transitional provisions that these jurisdictions are putting in place to deal with this eventuality. No French legislation or regulation is proposed to provide a transition period. The UK will be deemed a "third country" and UK financial institutions will lose ability to passport services into the EU from the day that the UK leaves the EU. UK credit institutions intending to carry on (or continue carrying on) traditional banking business from the UK in France will require authorisation from the French banking authority (Autorité de Contrôle Prudentiel et de Résolution) before operating on French soil. A geographical presence in France would be required. Please contact Emmanuelle Naulais and Marta de Franciscis with any queries regarding the foregoing discussion on the approach to Brexit in France. Draft legislation provides for a potential transition period of up to 21 months to allow a UK authorised entity to continue its business operations with regard to existing agreements only. According to this draft legislation, the German banking supervisory authority (BaFin) would be authorised to issue an administrative order which would allow the respective UK authorised entity to continue its business operations in Germany for up to 21 months but only with regard to existing agreements in place and in order to avoid disadvantages for the functioning or the stability of the financial markets. The German Parliament (Bundestag) and the German Federal Council (Budesrat) have adopted the draft legislation. However, the signing and promulgation by the Federal President (Bundespräsident) is required to pass the draft legislation into law. The draft legislation shall enter into force on 29 March 2019 (or the day on which Britain leaves the EU). New business in Germany would not be possible for a UK authorised entity under the passporting procedure during the transition period. The general "first approach principle" exemption to the banking licence requirement in Germany could still be relied on. This requires the customer to approach the UK authorised bank to initiate the lending relationship, for example in the case of a primary syndication (if the borrower approaches the lenders and not vice versa). The purchase of an undrawn revolver in a secondary syndication would normally not be permitted under this exemption. We appreciate the assistance of Michael Neises of Heuking Kühn Lüer Wojtek with the foregoing discussion on the approach to Brexit in Germany. Draft legislation is envisaged to allow for a transitional period to allow UK financial entities to continue business operations on the basis of their UK authorisation and provide steps for subsequent compliance with domestic Italian requirements. No timeframe provided for this transitional period. Legislation will be passed in the form of an urgent decree if required. See the press release dated 24 January 2019 from the Italian Economy Ministry here. We appreciate the assistance of Claudio Corbo Colombo and Benedetta Mazzotti of De Berti Jacchia Franchini Forlani with the foregoing discussion on the approach to Brexit in Italy. What action is the financial entity taking? Has it merged with another entity or transferred its holding to another entity? Who is this other entity and do you need to consider its regulatory status, or reassess KYC/AML and credit risk? If the financial institution has sought to transfer its contractual position under the funded participation, what is the mechanism for the transfer? The LMA form of Funded Participation Agreement does not provide a form of transfer certificate in respect of a transfer by the grantor, though such a transfer is permitted. Furthermore, as a change of grantor requires a transfer of the underlying loan, is the transfer permitted under the terms of the governing credit agreement, and are there any other transfer-related issues to consider in this context (e.g. perfection requirements in respect of transfer of collateral and related costs)? The EU Interest and Royalties Directive (2003/49/EC) was first adopted by the European Commission (the "EC") on 3 June 2003. Pursuant to this Directive, interest payments made by a company resident in a Member State can be exempt from any taxes imposed by that Member State, provided the recipient is connected to the paying company, is the beneficial owner of the interest and is a company resident in another Member State (or a permanent establishment of a company resident in a Member State). Once the UK leaves the EU, however, it will not benefit from this Directive. Instead, the UK will have to rely on the provisions of the bilateral double tax treaty in force with the relevant Member State. For a number of countries (such as France and Spain) the relevant double tax treaty can reduce tax on interest down to 0 per cent. There are a number of Member States though whose double tax treaties with the UK do not provide for full tax exemption from withholding on the payment of interest and so interest payments from companies resident in these jurisdictions to UK companies may be subject to withholding tax. Some examples of these are Belgium, Croatia, Italy and Portugal. Similar problems can also arise in relation to the payment of cross-border royalties and also the payment of dividends (the latter which may currently be exempt from withholding tax under the EU Parent-Subsidiary Directive). Please contact Brown Rudnick partner Tracy Fisher with any further queries regarding the impact of Brexit on tax analysis. For insolvency lawyers, particular questions regarding Brexit are raised with respect to the recognition and enforcement of insolvency proceedings that are currently dealt with under the European Union Insolvency Regulations (the "EUIR"). The current framework provides for automatic recognition in each Member State of insolvency proceedings opened, or judgments in those proceedings given in another Member State. The UK has expressed its desire to maintain the 'status quo' in its European Union (Withdrawal) Act 2018 (the "Withdrawal Act"). As such, the EUIR would have full force in the UK and insolvency proceedings opened in EU Member States would benefit from automatic recognition in the UK. However, as that recognition would occur as part of UK law and the UK would cease to be a "Member State", the provisions of the EUIR (without amendment) would not be binding on EU Member States in relation to UK insolvency proceedings. Such recognition could be sought by way of international convention or treaty. However, it is important to note that the UK is prohibited from seeking bilateral agreements with any EU Member State by the European Council's guidelines for Brexit negotiations. Given the current difficult relations between the EU and the UK, such international convention or treaty seems unlikely in the current climate. Additionally, it is important to note that the EU has not to date implemented a principle of automatic recognition of insolvency proceedings with any non-EU State. The EU's Bank Recovery and Resolution Directive (2014/59/EU) (the "BRRD") was entered into following the financial crisis. Its aim was to establish a common approach within the EU to the recovery and resolution of banks and investment firms and was designed to ensure that the EU could effectively address risks posed by the banking system. Article 55 of the BRRD requires a wide range of non-EU law governed contracts entered into by certain EU entities (including financial institutions and investment firms) to include wording by which the counterparty recognises that the EU entity's liabilities may be subject to bail-in by relevant EU authorities (broadly, the counterparty's claims may be written down or converted to equity). Depending on the eventual form Brexit may take (by way of an agreement or on a No Deal basis), there may be an impact on financing transactions which, in the European loan markets, are predominantly governed by English law. New English law governed financing agreements may need to include BRRD bail-in language, and English law governed financing agreements entered into prior to Brexit may need to be revisited. In the event of a No Deal Brexit, the type of jurisdiction clause included in a credit agreement could be of upmost importance. If an exclusive jurisdiction clause is included, it will generally be enforceable under the Hague Convention of choice of Court Agreements 2005. However, if a non-exclusive jurisdiction clause is included then its enforceability will depend on the final agreement reached between the UK and the EU. 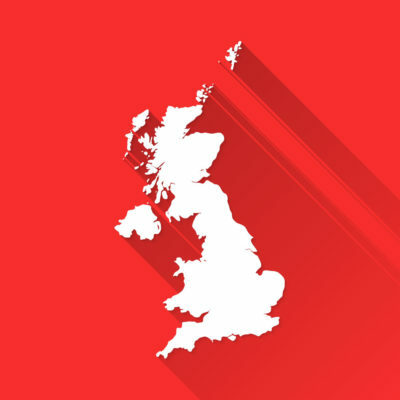 On 15 March 2019, Interserve, the UK support services and construction company, with a GBP 2.9bn turnover (70 per cent of which comes from the UK Government), announced that it would enter administration. This followed the dramatic defeat of a proposed debt-for-equity rescue plan at the company’s general meeting on the same day by 59 per cent of its shareholders, including its largest shareholder Coltrane. The announcement that Interserve entered administration knocked more than 30 per cent off the value of the shares before they were suspended from trading. Interserve’s creditors, including Emerald Asset Management, Cerberus, Angelo Gordon and RBS, had lined up a pre-pack administration in the event that shareholders rejected the restructuring proposals. This was to avoid a “Carillion-style collapse”. As part of this pre-pack administration, the business and assets of Interserve were sold to a company controlled by the creditors on 15 March 2019. On 7 March 2019, LK Bennett, the high end women’s retailer favoured by the royals, filed for administration. Ernst and Young, the administrator, cited “tough trading conditions for retailers… significant rent increases and business rate rises”. This follows several years of losses, including GBP 48m in 2017 following Linda Bennett buying back control of the business from private equity investors. Rationale for these losses included high restructuring costs, increases in the living wage as well as business rates, a prolonged customer spending downturn and a lack of differentiation between LK Bennett’s products and cheaper alternatives produced by competitors such as Reiss and Hobbs. The brand has 39 stores, 37 concessions and its head office as well as around 500 staff in the UK. On the date of administration, the administrators announced 55 redundancies as well as the closure of 5 stores. Trading continues while a buyer is sought for the brand. Final offers from prospective bidders were requested by 25 March 2019 and it is thought that offers have been made by Mike Ashley and Dune. On 7 March 2019 Premier Oil, the North Sea producer announced a return to profit in its 2018 results. The company reported post-tax profits of USD 133m, compared to their 2017 loss of USD 253m. This comes after reports in January 2019 of a 7 per cent increase in production to 80,500 barrels a day in 2018, another record year of production for Premier Oil. Reuters reported that the company is aiming to reduce its debt to less than USD 2bn in 2019. Premier Oil’s debts surged following its entering into a flagship endeavor in UK waters shortly before the 2014 oil crash. Additionally, the company has been linked with a joint bid for Chevron’s North Sea oil and gas fields worth USD 1.5bn with US private equity firm Apollo Global Management. Steinhoff announced on 26 March 2019 that it sold its remaining 26 per cent holding in KAP Industrial Holdings Limited raising USD 332m. The proceeds are to be used to help meet obligations arising from the ongoing debt restructuring process. As reported in our March Trade Alert, LSW GmbH launched a challenge to the company voluntary arrangements (“CVAs”) on 10 January 2019. This delayed the restructuring process, which was due to complete by 29 March 2019. The substantive hearing in the High Court of England is not likely to be heard until the week commencing start of April 2019. Steinhoff sought the consent of creditors to extend the CVA long-stop date to 31 May 2019.
the transactions identified as irregular were complex and involved many companies over several years and were supported by legal documents and other professional opinions that were often created after the fact and backdated. Mike Ashley, owner of Sports Direct Internal plc (“Sports Direct”), is considering making a cash offer that would value Debenhams equity at GBP 61.4m. Sports Direct already owns around 30 per cent of the shares. This takeover attempt is seen as a last ditch effort to take control from Debenhams' creditors who are heavily involved in the proposed restructuring which, Debenhams has threatened, could result in the loss in value of its shares. Ashley’s demands include that he is made chief executive and that Debenham’s stops negotiating with creditors for additional financing. Debenhams stated on 26 March 2019 that Sports Direct’s proposed offer to buy the company would not solve their “immediate funding requirement”. Furthermore, Debenhams also advised that Sports Direct must make a firm offer for the group, underwrite a rights issue or provide debt funding if it wants to stop Debenhams from falling into the lenders' hands. Lenders provided Debenhams with GBP 40m of additional funding last month. However, cash-strapped Debenhams required additional funds with both Sports Direct and the creditors offering GBP 150m. Sports Direct also made several attempts to purchase Debenham’s Danish subsidiary, Magasin Du Nord, for GBP 100m with the option for Debenhams to be able to repurchase within 12 months on the condition that Ashley is made chief executive and director of Debenhams. Debenhams secured GBP 200m in new funding on 29 March 2019 under a creditor plan which it put on 22 March 2019 to bondholders to approve. The German onshore and offshore wind turbine manufacturer Senvion announced the appointment of Neil Robson as Chief Restructuring Officer on 20 March 2019. This is part of the “transformation programme” instigated by Senvion in February 2019 to stabilise the company. Senvion’s 2018 financial results were delayed following the downgrade of its expected revenue for 2018 from EUR 1.45bn to EUR 1.6bn. Four key areas of this plan are (i) re-focusing on the most attractive markets; (ii) reducing its product range; (iii) increasing competitiveness; and (iv) working with lenders to stabilise the company. Senvion also announced on 20 March 2019 that as part of its re-focusing on the most attractive markets, it will withdraw from around 30 countries and concentrate on approximately 20. Since 1 April 2015, the FCA has had the power to enforce against infringements of competition law regarding the provision of financial services. These competition enforcement powers are in addition to the FCA's other regulatory enforcement powers, such as those under the Financial Services and Markets Act 2000 ("FSMA") to prosecute or impose regulatory fines and bans for misconduct and market abuse. On 21 February 2019, the FCA issued its first formal decision using its competition enforcement powers in financial markets. The FCA found that three asset management firms breached competition law by sharing strategic information, on a bilateral basis, during one initial public offering and one placing, shortly before prices were set. The FCA's press release makes clear that the decision relates to the same facts as its 4 February 2019 decision to take enforcement action against a fund manager using its non-competition enforcement powers. The two decisions provide important insight into how the FCA will use its competition enforcement powers. Whereas the FCA’s powers to take action under FSMA typically only apply to securities traded on a regulated exchange or trading platform, the competition powers arguably go wider. Our note on the cases can be found here.